The major bloomers of summer have finally started up here. My honeybees have finally noticed! Yeah know I spend like $500 a year on plants specifically to boost honey yields and it almost never works until summer hits. Now I doubt there are many forbs that literally add a jar of honey onto what I pull out, a tree maybe, but not a single forb. So along with being a good nectar source I think it's important the plant be native, drought tolerant, and able to spread around if only to one day sell them to others and get your money back. So here are the highlights the honeybees seem to be loving outside right now. Pycnanthemum sp. Mountain Mint. The very tiny flowers to this plant emerge randomly out a domed cluster lined with special leaves that are naturally covered in a white dust. Bees can not resist. 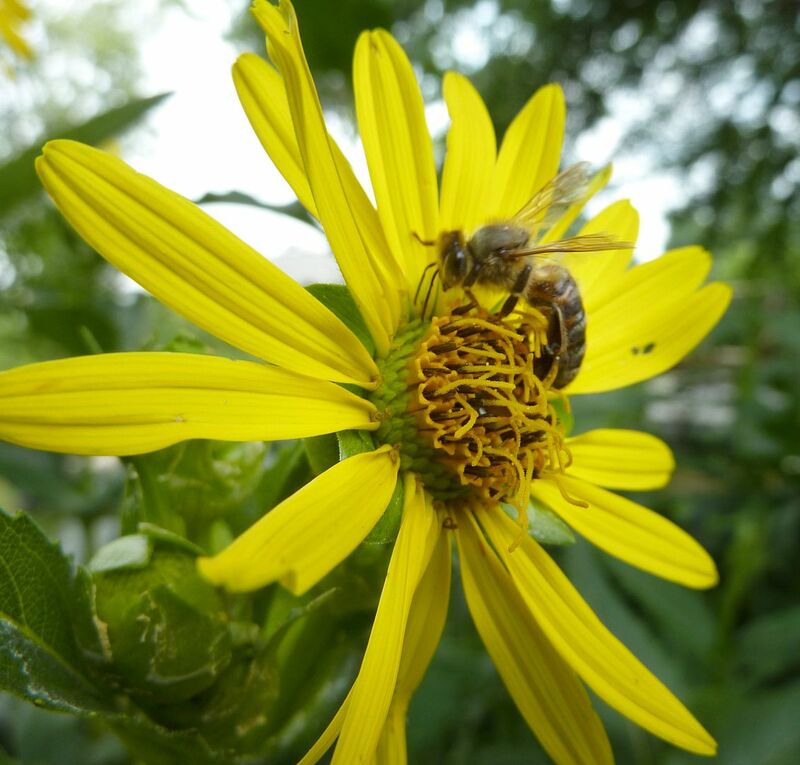 I find about four honeybees working a single plant nonstop and that's typically for the whole day. 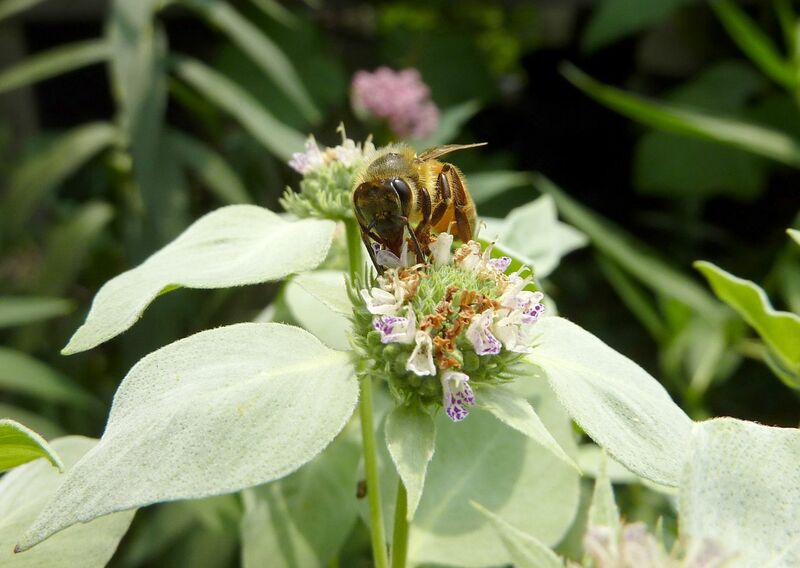 Mint plants are certainly a favorite among bees and I hope this native spreads itself around some. 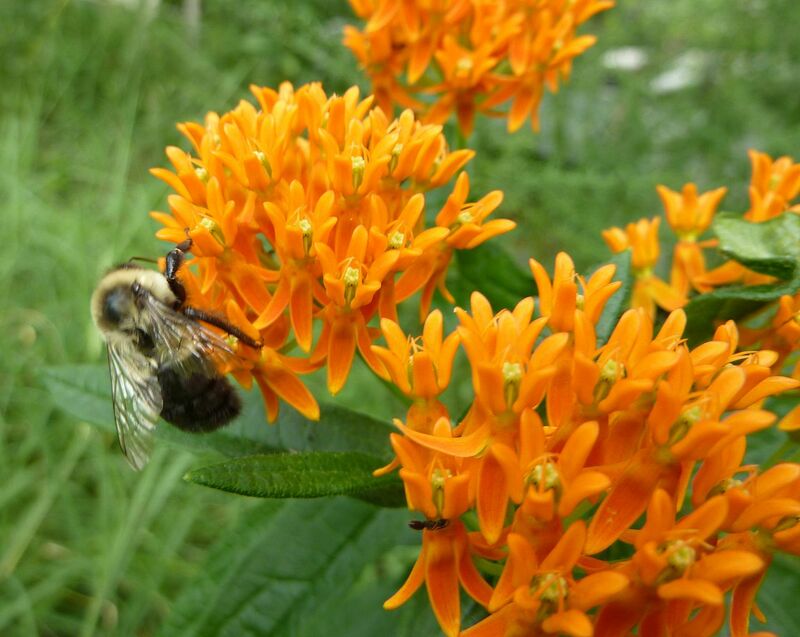 Asclepias tuberosa, Butterfly Weed. This is a garden staple of any butterfly garden, not because the flowers get lots of butterflies on them but because it's the host plant to the Monarch Butterfly. These are all plugs I installed this year and they're producing some nice flower heads. I haven't seen any honeybees on them yet but I know from experience that they'll eventually find them. They started flowering in June and next year each plant should send up more stems to fill in brilliantly. Cup Plant, Silphium perfoliatum. The fun thing about this plant is the leaves form a small cup at the stem, and the flower have the option of opening either from the middle out or from the outside in. Bees love this plant and surprisingly it's good at attracting butterfly too. I have these plants forming a wall right out front of my hives. I'm happy to see they haven't spread as much as I thought they were. I started with 4 plants and each one is pretty much taking up a 2' by 2' area with multiple stems. I'm getting lots of flowers and already some butterflies have stopped by. 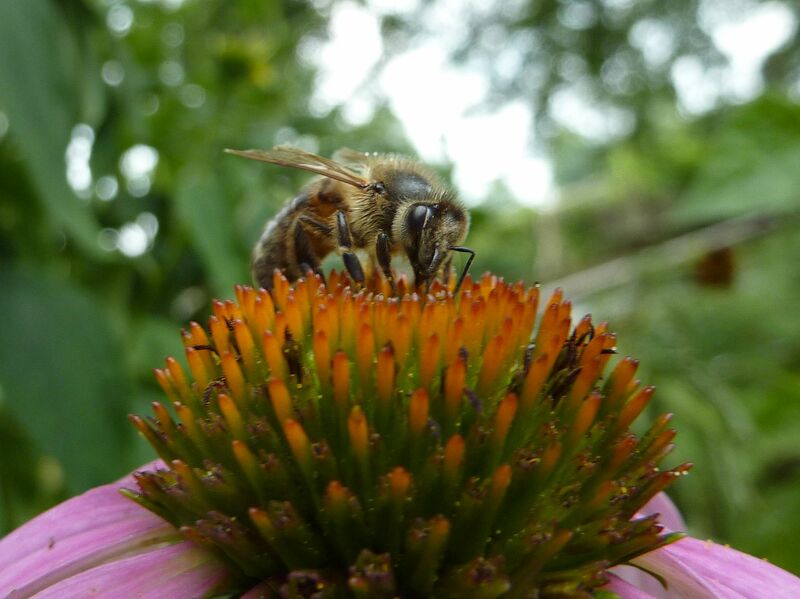 Echinacea purpurea, being pollinated by a honey bee. I don't have as many of these plants as I used to but I'm hoping that will change. This plant came up from a seedling I had several years ago and it's starting to seed itself around. Ironweed, Vernonia sp. I'm not sure of the ID yet. This is a rather small clump of flowers that a hummingbird moth was all over. 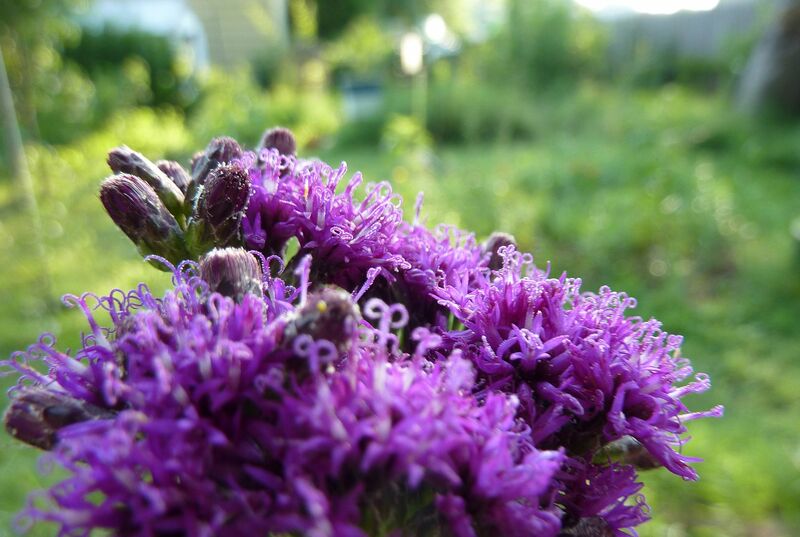 I like to think of Ironweed as a hornless kind of thistle topped with Liatris-like flowers. As it is only a small clump I don't see much on it but I'm sure that will change later on. As it turns out I was accidentally mailed a dozen or so species of Ironweed, different than what's above.